The Housing Development Board, otherwise known as HDB, offers a one-year repair warranty on dislodged or pop up tiles. As an HDB flat owner, you can contact the board to repair the defected tiles. But what happens if your HDB tiles pop up after the board’s liability is over? Don’t fret as there’s still a way to fix the issue! Experienced tiling contractors should be able to hack dislodged or pop up tiles and replace them with new ones. While there are effective solutions for pop tiles, homeowners should first familiarise themselves with the causes of such problems. Knowing the reason behind why tiles dislodge will make homeowners aware of the necessary steps to take in order to maintain their tiles for the long run. Why do HDB tiles pop up? It is possible that tiles are popping up in your flat because of poor construction. It may be that the contractor did not properly mix the cement base before spreading the tiles on the foundation floor. Doing so will inevitably make the tiles less intact as it should be as they will not bind perfectly. This will eventually separate the tiles and lead to them dislodging on the floor. Another possible reason can be that your contractor installed low-quality tiles that break easily. While changes in weather might not be a common reason behind popping tiles, it may also affect the natural shape of the tiled floor. Contraction of tiles occurs mainly because of the loss of adhesion between the cement base and tiles. Pressure may build up when the temperature constantly changes. This eventually breaks the bond between the tiles and the screed surface, which then dislodge the tiles. Despite being more durable than wooden floors, tiled floors are still prone to the usual wear-and-tear. Natural deterioration then becomes a huge factor contributing to the loss of bond between the cement surface and tiles. Tiles installed in your HDB flat will absorb moisture and swell due to this action. It will make the tiles pop up and break after some time. Now that you know more about why tiles pop up in most flats in Singapore, you can carry out certain maintenance techniques to prevent such incidents in your home. 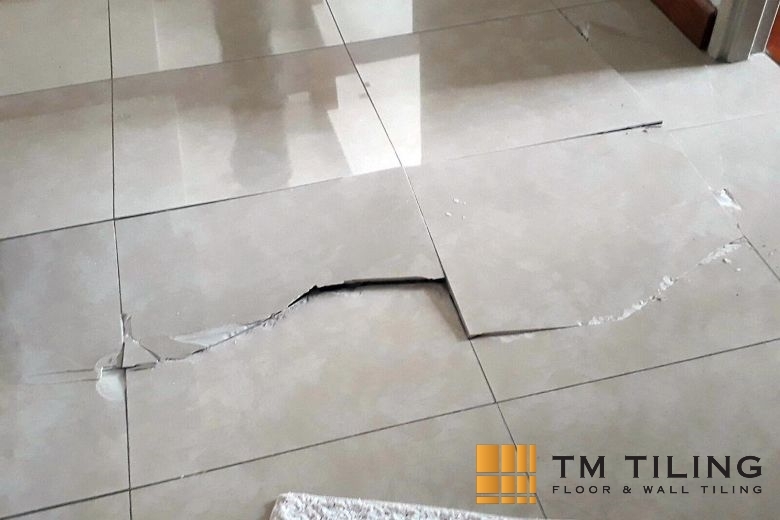 While HDB flat owners in Singapore can report dislodged tiles to the board with their one-year warranty, you can always look for an experienced tiling contractor to solve pop up tiles. Got a few tiles popping up? 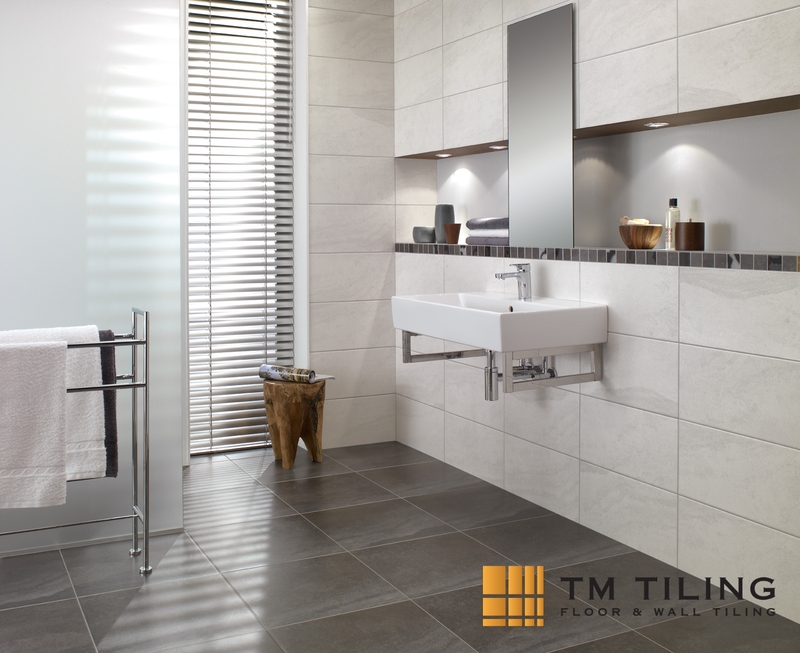 At TM Tiling Contractor Singapore, we provide quality tile repairs to solve all your tiling problems. With our wide range of positively reviewed projects, you’ll be assured to receive only genuine workmanship at affordable pricing. Don’t hesitate to contact us now to find out more about our tile repair services. Call us at +65 6653 5655 or email us at enquiry@tmtiling.com. Our team of tiling experts will get back to you as soon as they can.